A neat list that goes in a chronological order. A full paragraph that tells the story. Which one to choose? This depends on the position you’re applying for. A fresh graduate with degree in Child Development seeking a teaching position to utilize skills in training children using innovative and interactive activities. To get a job teaching high school students that will benefit from my BS degree in Early Childhood Education and allow me to develop my skills in delivering top notch education. To help students through interactive promotion of their social, physical and intellectual skills using creative teaching strategies. Desire a position as a Science teacher to help high school students be eager learners in scientific lessons that will be advantageous for their analytical and creative thinking skills. To be employed in one of the best educational facilities and utilize my capabilities in implementing and planning teaching techniques that will allow students to learn easily and effectively. To obtain a teaching job in Santa Monica School that will enable me to dedicate my knowledge and expertise in training students as for them to contribute not only to the school but also to the community. A dedicated high school teacher looking for employment in esteemed school hoping to educated students by delivering them developmental and pertinent educational techniques best suited for their level and needs. A reliable preschool teacher with extensive teaching experience and skills willing to help develop the young minds of children using classroom interaction strategies and hands-on experience. Looking for a teaching position in California High School where my training, academic expertise and skills will be fully utilized as to provide high quality education and positive learning experience to students. If you are looking for professional resume writing services for nurses, learn what these guys can offer you! Looking for an internship program where my accounting knowledge and understanding with numerical analysis will be fully utilized. Seeking a summer internship training where my marketing studies will be helpful and practically taken advantage for day to day operation of the company. To obtain internship in top IT Company where I can learn from programming experts as to develop my skills and contribute to my chosen field. An internship with publishing company that will allow my communication and literature degree will be deemed useful and can provide me with the opportunity to enhance my knowledge. To acquire internship working with highly qualified engineers in a competitive working environment in order to improve my analytical skills and develop my knowledge in engineering strategies. 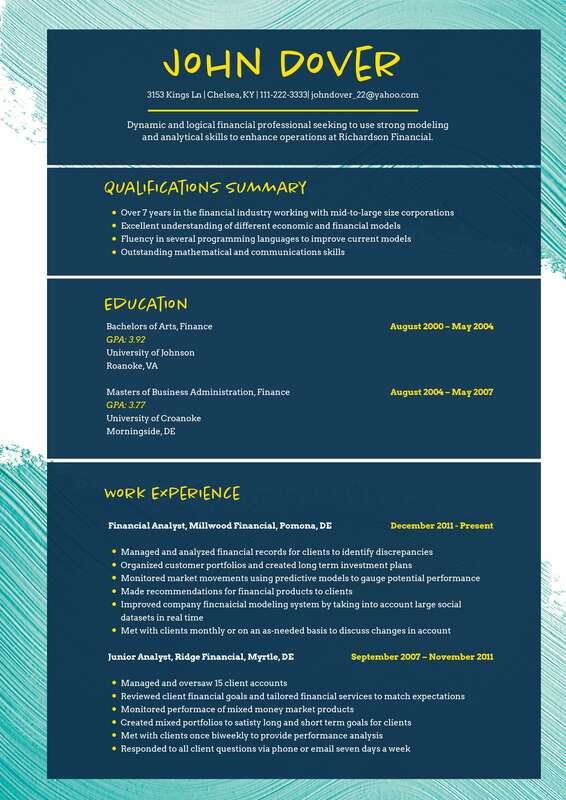 Seeking an internship to well respected accounting firms that can help me enhance my knowledge, expertise and discipline towards becoming a better accountant. A discipline and focused English major looking for internship in top educational institution which can provide me with solid support and understanding in extending literary education to students. Looking for great internship programs that can give me medical training and experience which my nursing and health care degree will be deemed valuable and essential to the facility. If you need fast resume help objective, then these tips are exactly what you need. An outgoing professional looking for a position as a receptionist in Publishing Company that will allow me to demonstrate my clerical skills and excellent customer service experience. A friendly and reliable receptionist with a desire for employment in Ford Mechanics to utilize my secretarial skills, front desk management and administrative desk operations in the most efficient way. An experienced receptionist seeking for employment in Southern Dental Clinic which can help me utilize my expertise in professional desk management and exceptional customer service. A dedicated individual seeking for a job as a receptionist where my expertise in secretarial skills will be deemed essential in order to manage the company’s diverse line of customers. A fresh graduate looking for a job as a receptionist in which I can take advantage of my operational efficiency and dedication that will be advantageous to improve the company’s client base. A dependable receptionist with vast experience with offering unmatched customer service, exceptional computer skills and provide top notch clerical management for the clinic. A desire to be employed in the accounting firm as a receptionist in which my professional and extensive knowledge in handling customers will be of great use. Committed receptionist looking for employment in General Motors in order to prove my organizational skills, experience in front office organization and coordination of all administrative paper works.